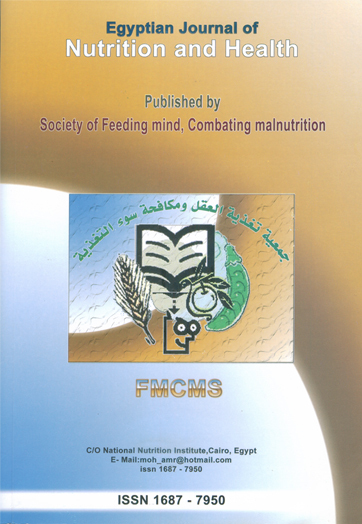 Nutrition and Food Science Department, Faculty of Home Economics, Helwan University, Cairo, Egypt. The present study was conducted in order to examine the protective effect of lemon grass (Cymbopogon citratus) water extract (LGWE) against nephrotoxicity induced by cisplatin of male Albino rats. Thirty five adult male Albino rats weighing between 120-140g were randomly separated into five different groups (7rats each). Groupl was a normal control group (-ve), fed on basal diet. Group 2 was the positive control group (+ve) fed on basal diet for 6 weeks and then injected intraperitoneally (i.p.) with a single dose of cisplatin 5mg/kg of body weight. Groups 3, 4 and 5 fed the same as group2 and received 5, 7.5 and 10% lemon grass water extract, respectively, for 6 weeks and then injected intraperitoneally (i.p.) with the same dose of cisplatin. Five days later all rats in all groups were sacrificed and the blood was collected for biochemical and histopathological investigations. Cisplatin treatment caused significantly increase in serum malondialdehyde, uric acid, blood urea nitrogen and creatinine as well as alanine aminotransferase, aspartate aminotransferase and alkaline phosphatase (p<0.05) in +ve control group compared to —ve control group. Rats which were fed LGWE (groups 3, 4 and 5) showed marked reduction in the same biochemical investigations compared to +ve control group. Reduced glutathione (GSH), serum sodium and potassium mean values were decreased in +ve control group compared to —ve control rats. Feeding LGWE in groups 3, 4 and 5 showed a rise in the same biochemical parameters compared to +ve control group. 2, 2-Dipheny1-1-picrylhydrazyl (DPPH), half maximal inhibitory concentration (ICH) and total phenolic content of lemon grass was assayed. Parallel to the above mentioned changes, cisplatin treatment enhances renal damage as evidenced by sharp impairment of kidney function corresponds to biochemical parameters and histopathological findings. Additionally, feeding LGWE caused gradually histopathological improvement in renal tissues in groups 3, 4 and 5. These results of this present study indicated that aqueous extracts of Cymbopogon citratus has antinephrotoxic properties against cisplatin induced renal oxidative damage in rats which might be ascribed to its antioxidant and free radical scavenging property. According to these above results, it is recommended to conduct further studies on the use of LGWE and possible protection of human beings against nephrotoxicity.